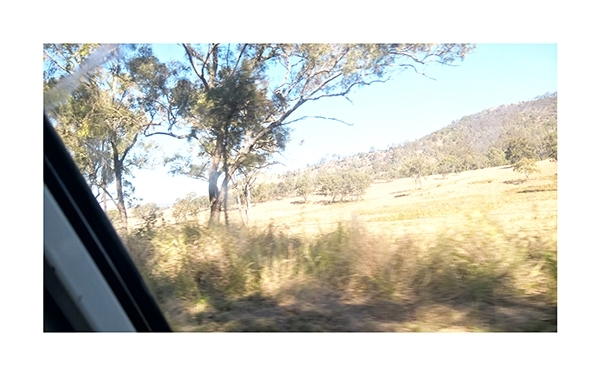 Drive to Kilcoy – seven minutes and five seconds. This photo is part of a series of seven. The photos are taken on the Wivenhoe Somerset Road during a drive to Kilcoy. They span a period of 7 minutes and 5 seconds of my life on the 28th of July 2018. The complete series exists of 7 photos starting at 11:27:09 AM and ending at 11:34:14 AM. Each photo is printed on true photographic paper, marked with the time and date it was taken. This photo is taken at 11:27:09 AM on 28th of July 2018. Kodak Professional Endura professional photo printing papers. Kodak true photographic prints are one of the longest lasting, durable and highest quality photographic prints.